The Dondolo vase in porcelain: a creation by Arzberg that plays with balance. The Dondolo vase is a simple, essential, and minimalist piece but at the same time one that is very original and of great quality. This 20cm high vase boasts a signature of undisputed prestige such as that of Arzberg, a brand that has a special bond with porcelain as it has been working this material since 1887, gaining truly amazing popularity. 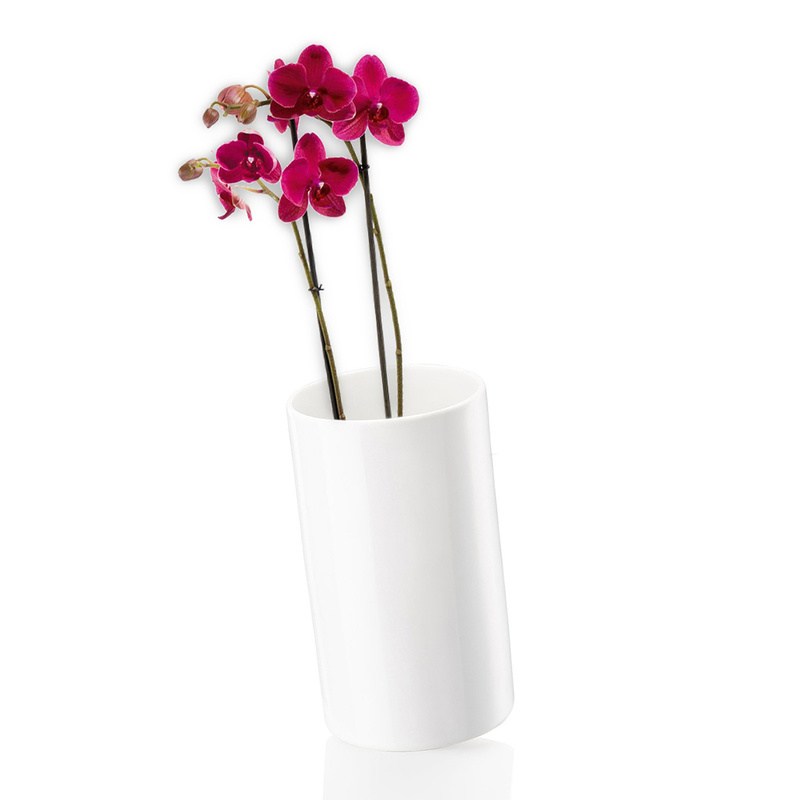 The Dondolo vase is entirely made of porcelain, particularly solid and thick, in a white classic colour. This graceful vase can capture the viewer’s attention not only for its brightness and its purity but also for its very innovative design. This vase in fact features a common cylindrical shape yet with a great peculiarity: a perpetually oblique position that makes it look as if it is about to fall when instead it is perfectly balanced. This feature of the Dondolo vase does not go unnoticed, and makes this object perfect for the most different contexts: this lovely vase can in fact be positioned with excellent results both in modern and original environments as well as in more formal contexts, perhaps to enliven an otherwise too-serious atmosphere. 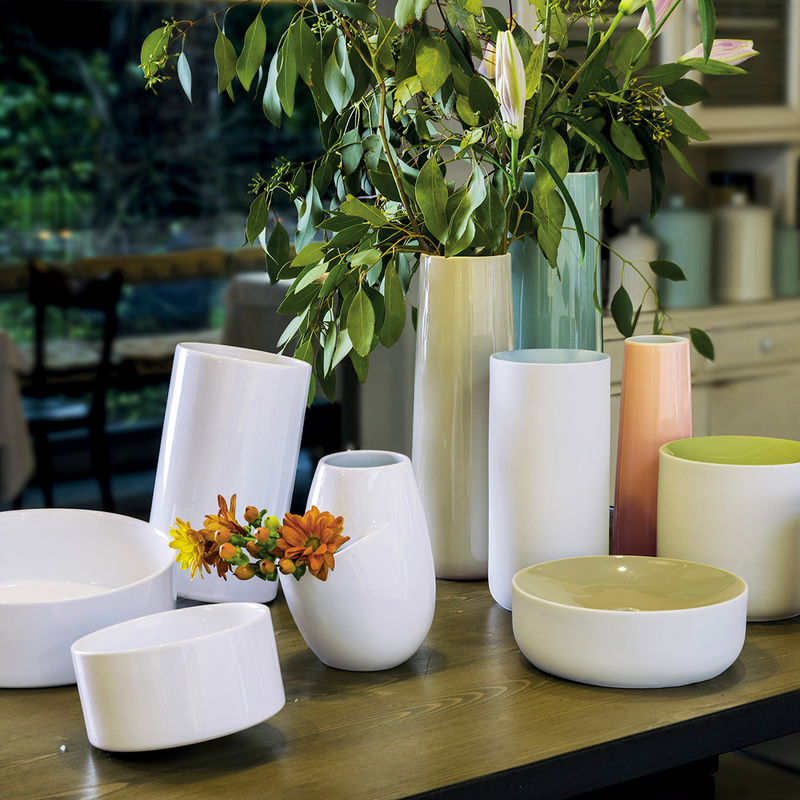 Even at a functional level, this precious porcelain vase deserves to be considered a great choice: Dondolo can be used as a traditional vase to place on a piece of furniture, shelf or other surface, or it can be used in many alternative ways. This vase by Arzberg that plays with gravity can be placed for example on a table as a centrepiece, possibly containing fresh, short-stemmed flowers. However, it is particularly decorative even empty.